The Running Mormon: My thyroid tried to kill me! This post has been a long time in the making. I find it difficult to write about as this was such a traumatic and painful part of my life. I hope that maybe others can find help from my story, especially when it comes to taking an active role in your own medical treatment. Four years ago, my thyroid tried to kill me. My symptoms came on quickly. So quickly in fact that I just attributed them to the situations surrounding their onset. January 2011 I had just given birth to my beautiful baby girl. I had a fairly difficult pregnancy and the labor wasn't much better, but the end result was well worth all the pain and discomfort. Since I ran through my pregnancy and since I was getting cabin fever stuck in my house, I decided to train for and run my first ever half marathon, Myrtle Beach, which was six weeks away. I had a very modest goal of finishing in three hours to ensure I would take it easy as my doctor recommended and I ended up finishing just under my goal. I felt great, until I received a call from my Dad telling me that my wonderful mother just passed away unexpectedly from a pulmonary embolism. That alone was highly traumatic and I had a very hard time with her sudden passing. Throughout this time, my husband at the time was TDY (temporary duty) to North Carolina where he had already been for about four months, and he still had another eight months to go. Although he came out for a few days when the baby was born and for a few days when my Mom died, he was gone and I was alone. Additionally, I had to return to work as my maternity leave ended. I was active duty Air Force working as my squadron commander's executive officer at the time. This job usually requires long hours, lots of paperwork, and lots of stress since we were in charge of managing the squadron administratively. I had one heck of a time getting my daughter into Childcare, even though I was ensured a spot for her. That was another type of fiasco, which was luckily resolved fairly quickly. Anyway, I tell you this to give you some understanding into the challenges I was up against when my health started to deteriorate. Shortly following the death of my mother, I started getting headaches. Constant, painful, awful headaches. They lingered all day every day. The only relief I felt from these was when the pain just lessened. After two weeks of this, I went to the Flight Doc at the Air Force Base. He gave the usual flight doc diagnosis of "take a pregnancy test," and when that was negative to just take some motrin and drink more water. So I did those things...still the headaches continued and even intensified. Three more appointments followed within the next month of the same complaint. Same diagnosis every single time. I found some relief in running, but my performance was suffering because of the pain. Then the nausea started. I was sick to my stomach consistently and I started throwing up daily. I had a hard time keeping anything down, but oddly I had a huge appetite. I once ate an entire large pizza by myself. I was losing weight rapidly--down 30 pounds in a four week period--and I was eating a ton! On my eight attempt at the flight doc, with each previous visit the same old routine of taking another pregnancy test, then being told to take Motrin and hydrate, he told me I was bulimic due to grief of losing my mom, and had me go to counseling. Funny thing, I didn't want to throw up. I actually wanted to put on weight since I had lost so much so fast. My first meeting with the counselor cleared up that misdiagnosis, I didn't have an eating disorder. I could've told them that. This was a much harder time for me to run, but I kept it up. I was supposed to be training for a half marathon, but I had to cut back my mileage to 15 miles a week since I was getting so weak. At this point, my resting heart rate (previously 52 bpm) was at an all time high of 132 bpm. I could feel my heart beating at all times. My hands and feet started shaking. The tremors were so bad that my handwriting was illegible and it was hard to type correctly. I was at the point of scheduling weekly appointments with my doctor due to the pain, nausea, weakness, weight loss, and now palpitations and tremors. My first symptoms started in January. Now it was April. My hair began to thin out. I had insomnia so bad that I was averaging two hours of sleep a night. I had drastic mood swings that ranged from utterly depressed to lethargic to extremely annoyed--worse than pregnancy moodiness. I had a hard time focusing or concentrating on anything and I was easily confused. I felt hot all the time, like I had a fever. My weight dropped to 98 pounds when I was previously at 130lbs (150 while I was pregnant). I started going to the emergency room once I experienced chest pains. The first ER doctor I saw told me, "Why are you complaining about weight loss? You should be grateful to lose a few pounds." And that about sums up all my ER experiences. The doctors didn't take me seriously and sent me home each of the 12 times with antibiotics claiming I had a Urinary Tract Infection since my white blood cell count was so high. Nothing helped and at this point I was so weak I couldn't even find relief in running. I find it interesting that none of these doctors, military or civilian, noticed the large lump on my neck or even mentioned my low blood pressure and high heart rate. Twenty-two flight doc visits and sixteen ER visits later, I passed out at work. I was so weak I couldn't even walk. Even sitting was hard. I was experiencing incontinence since my muscles were too weak to even work in that area. My coworker had to half-carry me to the base clinic and then I had to sit in a wheel chair. It was this visit that I was informed I had a new doctor in family practice. He took one look at me and knew instantly that I had a thyroid disease. He sent me to get labs drawn and had me wait in the exam room while he expedited the results. When he came back, he gave me beta blockers to help with my heart and told me that he had scheduled me an emergency appointment with an endocrinologist in Albuquerque (about four hours away) for emergency treatment. He was concerned I was experiencing thyroid storm due to the extremely high levels of thyroid hormones in my blood. 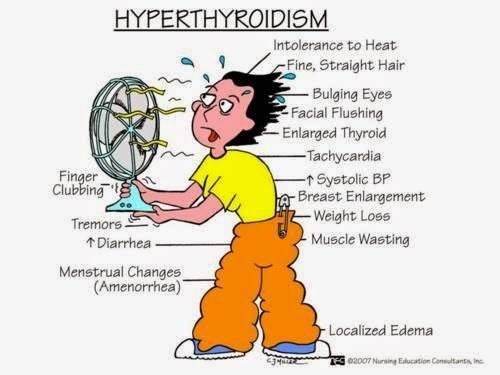 He said he had never seen anyone survive with levels as high as mine, nor had he seen a thyroid as large as mine. Although my diagnosis was grave, I was literally on my deathbed, I felt so much peace just knowing what was going on. Now I could be treated effectively! Now I could get better. My father rushed me to Albuquerque. Right before my appointment he gave me a priesthood blessing. The Lord blessed me with peace and comfort. He said that all would be well as I hadn't yet fulfilled my mission in mortality. He told me I had much work left to do and I would recover from my condition, although it wouldn't be all at once or right away. Those words from the Lord delivered through my Father through the power of the priesthood brought me so much comfort. My husband at the time had to carry me into the hospital where the doctor saw me immediately. He started me on thyroid suppressant medication right away. After reviewing my lab results, he diagnosed me with Graves' Autoimmune Disease and Hyperthyroidism. He said my heart, kidneys, and liver were shutting down. That my thyroid was eight times the normal size and producing eight times the normal level of thyroid hormone. He asked me why I hadn't been treated sooner, and after I told him my story he was appalled at how I was treated. He told me that if I hadn't been as fit as I was, that if I didn't have the cardiovascular adaptations running creates within the body, I would've died weeks prior. He listed several long-term effects that I had a high probability of developing: infertility, permanent autoimmune disease, constant medication and check-ups, permanent liver/kidney/heart damage, eye damage, and inability to participate in any endurance fitness. He also stated that I may need to have my thyroid removed completely in the future. That thought made me uneasy, but at least I was still alive and was finally receiving treatment. Now that I was being treated correctly, I felt instant improvement. I wasn't anywhere near being out of the woods yet, but at least I could feel my body healing. I still had to make five more ER trips after that visit due to the severely of the damage done to my internal systems from lack of treatment. My heart was still having problems and the EKG was showing abnormal results for months until the damage was repaired. It was actually during one of these visits as I was laying in my hospital bed that I came across an advertisement for the Big Sur Marathon in a Runner's World magazine. The pictures captivated me. I had never imagined that I would ever run a marathon, but right there in that moment in my hospital bed, I vowed that one day I would run Big Sur. Two years later, my thyroid levels were normal with the aid of thyroid suppressant medications. Now I faced a new challenge. My doctor was trying to push me into surgery. I felt strongly that surgery was not a good course for me. I prayed often and sincerely about this and I did a lot of research into the surgery and other treatments. I wanted to try a medicinal treatment, but my doctor kept trying ti bully me into surgery. They told me I would never go into remission and would never get better with that route. In fact, they discounted my concerns, ignored my questions, and just scheduled me for a surgery I wasn't sure of. So, I asked for a second and third opinion. My third opinion doctor (not a surgeon) told me that due to my medical history, especially with my mother passing away from a pulmonary embolism, surgery could actually limit my lifespan. When he said that, I felt the truth of his words and I was even more firm in my conviction to continue in medicinal treatment. I figure, if I ever absolutely need surgery, I will just get it in the future. 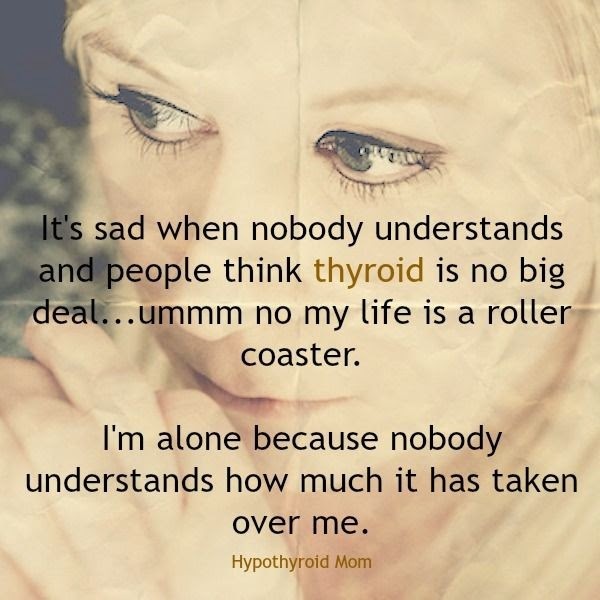 I can always have my thyroid removed, but I can never have it put back. Finally, I found the best endocrinologist. In our first meeting, without me even asking, he talked about all three options of treatment: radioactive iodine, total thyroidectomy surgery, and antithyroid medications. He told me the benefits and drawbacks to each one along with detailed descriptions of what each entails. Then, he told me that I was a great candidate for medicinal treatment. I knew I had found my doctor. Under his care my thyroid has shrunk significantly, my thyroid hormone is maintaining a normal level, the damage to my internal organs is repaired, I'm completely off beta blockers, and I'm almost off the suppressant medication. Most significantly, my Grave's Disease is gone! That alone is a miracle. I'm back to running and have been for the past year. In fact, I'm running farther and faster than ever! My goal to run Big Sur was always on the forefront of my mind, helping me stick to my training, run consistently, and push myself harder than I ever thought I could. My recovery started gaining the momentum my running had built. The more I ran, the faster I recovered—so quickly and fully that my recovery surpassed my physician’s expectations! I wasn’t just running anymore, I was running farther and faster than I ever thought I could. I built my endurance, my mileage, and my confidence to the point where I knew I was ready to run Big Sur. Now, four years later, I’m in my final months of training with the Runners World Challenge training plan and I’m about to see the fulfillment of that dream. 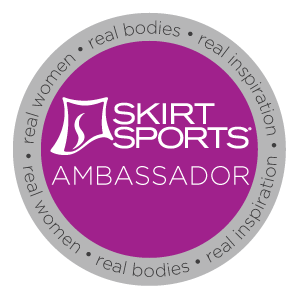 I know my mother would be proud of the athlete I have become. This is why running the Big Sur marathon is so important to me. It's the realization of a goal that helped me heal. I'm thankful I was and still am so active, for I know that running helped save my life. I'm so thankful that I followed the spirit's guidance and didn't allow those other doctors to bully me into a major surgery I don't need right now. I know I am blessed with the gift to be healed. I know this is a gift from God that I am recovering so well from these diseases. He is blessing me greatly with supportive family, caring friends, modern medicine, and a good doctor. I can see his hand in my healing, especially whenever my endocrinologist remarks how shocked he is by my quick progress in healing. To me, this is a miracle. Not only did I survive when I should've died, but I'm nearly entirely recovered from diseases that should be plaguing me for the rest of my life. I know that I may not recover completely, but the point I'm at now is a miracle in and of itself. I'm grateful I can run again. I'm grateful I'm healthy again. I'm grateful I can raise my daughter and ensure she has a knowledge of the gospel of Jesus Christ and His love for her and her mother. Wow! Thank you so much for sharing your story. Mine is similar. Many doctors and er visits. I felt like I was going mad. I am not physically active as it's painful, but I do eat healthy. You are such an inspiration to me! I read many of your posts and love it when you share your testimony. Thanks lady. I just hope that maybe my story can help someone who is going through something similar, or even just help them get past bullying doctors. 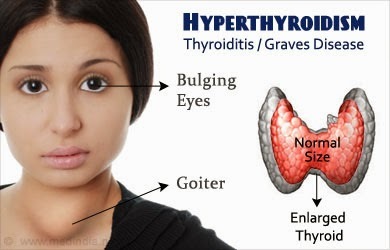 Hypothyroidism and Hyperthyroidism mean that the body is not making enough or is making too much of some of the hormones that regulate their body. This can cause the metabolism to slow down. In order for a person to burn alternative thyroid remedies the calories they take in, it is important for the body to run as efficiently as possible.